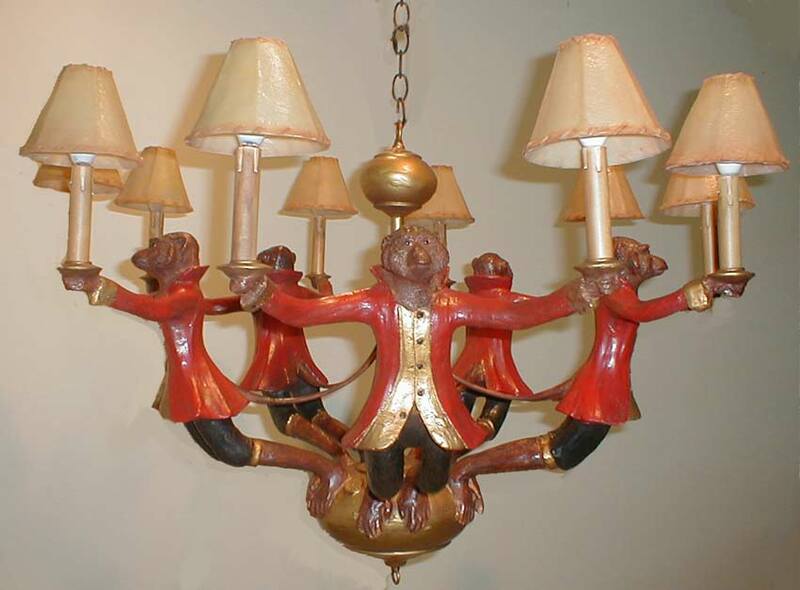 Description: 5 Flying monkeys and 10 lights make up this whimsical style chandelier. Resin &steel. Leopard custom painting is extra. Shades not included.